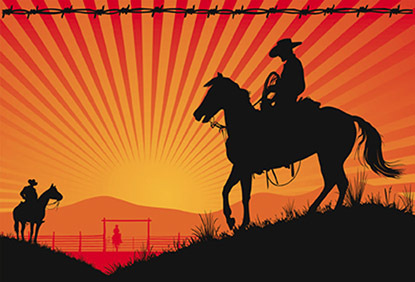 The Pecos Valley Baptist Association invites all senior adults in southeastern New Mexico to the Senior Adult Cowboy Celebration Tuesday, Sept. 18. Put on yer’ boots and hat and join us at 10 a.m. at the First Baptist Church Total Life Center on the corner of Roselawn and Richardson avenues. The highly anticipated senior adult event this fall is sure to be one that encourages and entertains! Donations will be received at the registration table to help with the cost of lunch. You can expect plenty of fun and fellowship during the event. There will a musical performance by the Mountain Saddle Band from Show Low, Ariz., and Don Lankford, New Mexico native and cowboy poet, will be the guest speaker. The Mountain Saddle Band has appeared in concerts and western festivals for more than 15 years from Canada to Louisiana and everywhere in between. Their sound recalls the days of the Old West because of its unique blend of mostly old, some new, cowboy music, gospel music, and cowboy poetry. The Mountain Saddle Band is a member of the Western Music Association, the Academy of Western Artists, and is committed to preserving and promoting the heritage and culture of the American cowboy. Lankford, also known as the “Word Weaver,” lives in Carlsbad with his wife Annie. They have three children and five grandchildren. Lankford is an ordained minister and has used cowboy poetry in his ministry for more than 35 years. Over the years, he has used his writing to share Jesus in mountain man camps, civil war reenactments, on trail rides, and in many churches. Lankford was also a contributor to the National Cowboy Symposium in Lubbock, Texas. John and Sharon Drusedum of Roswell will be there with their Lonely Goat Ranch chuckwagon. Don’t miss the opportunity to get your picture taken next to the chuckwagon by Ed & Cathy Cook Photography! The Cooks donate proceeds from the picture taking to the New Mexico Baptist Children’s Home in Portales. All senior adults are invited to come together for fun, fellowship and food. There is no cost for the program, but donations will be taken at the door to help cover the cost of the delicious meal of cowboy stew, cornbread and cobbler prepared by the Artesia West Main Baptist kitchen crew. So, put on yer’ boots and hat and come out and enjoy a spectacular event! For more information, visit www.pecosvalleybaptist.com or call 1-887-879-2729. We look forward to seeing you there!